Pardeep Narwal has, plenty of times, won matches single-handedly for the Patna Pirates as the men in green have gone on to win three Pro Kabaddi titles in a row. But his individual brilliance could only take them so far this season. The three-time defending champions lost out narrowly to the resurgent UP Yoddha in the race to qualify for the playoffs, bowing out after the league stage. Even as Patna continued to rely heavily on their star-raider, UP’s late revival was rooted in sound strategies and solid teamwork. 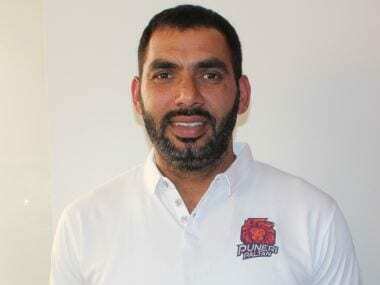 The Rishank Devadiga-led team was thrown a lifeline on Wednesday when Patna folded in the final few minutes to lose 29-37 to the Gujarat Fortunegiants. That meant UP had to beat in-form Bengal Warriors, at their home at the Netaji Subhash Chandra Bose Indoor Stadium in Kolkata, to squeeze into the top six. It was a scenario distinctly unlikely about a month ago. The UP Yoddha had sunk to the bottom of Zone B following a winless run of 10 matches. They had the worst home leg in the competition as they failed to win any of the six matches. Their captain, Devadiga, who had been retained by UP for Rs 1.11 crore, had been struggling with form and fitness. But the team held on to slim hope, recognized their limitations, went back to the drawing board and worked on minimizing errors. They always had a strong raiding unit with Devadiga, Shrikant Jadhav and Prashant Kumar Rai in the ranks; UP plugged their leaky defence to lay the foundation for a comeback. It began with a close 30-29 win over the Haryana Steelers in Delhi and finished with a confident, all-round 41-25 win over the Bengal Warriors on Thursday. 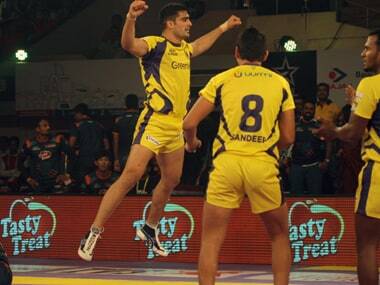 During the six-match unbeaten streak, UP also scored a morale-boosting 34-32 win over U Mumba. Even as their raiding unit delivered – Devadiga roaring back to form on Thursday with eight points—it was once again their defence that had kept them in the reckoning. After they had fallen behind in the first few minutes, two Super Tackles, including one by Jadhav, is what brought them back in the game. In Nitesh Kumar, they have one of the finest right corners in the League and he was effective again in the must-win game against Bengal, scoring six tackle points. He now leads the defence charts with 83 tackle points with Gujarat Fortunegiants’ Parvesh Bhainswal on 81 placed second, and U Mumba’s Fazel Atrachali third on 79 points. With the win over Bengal, who had qualified from Zone B earlier in the week, UP finished third in their group with 57 points from 22 matches. The Bengaluru Bulls had already qualified for the playoffs, and ended up at the top of Zone B with 78 points. Bengal, meanwhile, had a good run at their home arena winning four matches to ensure qualification for the playoffs. They finished at 69 points from their 22 matches. 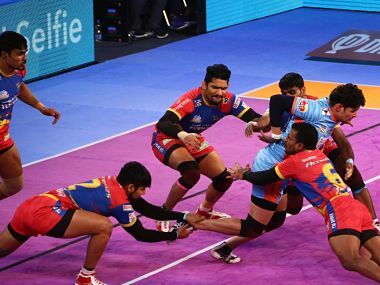 While Gujarat, U Mumba and Dabang Delhi had already qualified from Zone A, four teams had been competing for two qualification spots in Zone B before the start of the Kolkata leg. Patna had been in pole position at second, but they closed out with two underwhelming performances. They crashed to a 39-23 loss to hosts Bengal on Saturday and allowed the pressure to get the better of them against Gujarat. Having already made it to the playoffs, Gujarat fielded an under-strength team, resting their lead raider Sachin Tanwar for the match. But Patna could not capitalize on the opportunity. Defence let them down, and even though Narwal, with his 10 raid points, tried to keep them in the contest, they didn’t have enough quality to see them through. After the League stage, Narwal still managed to end up second on the raiders’ leaderboard with 233 points, only three behind Bengaluru Bulls’ Pawan Kumar Sehrawat. But Patna, who have won the title last three seasons, could win only nine of their 22 matches and finished fourth in Zone B with 55 points. This had been a landmark season for the sport, with six players earning a crore or more in the auction in June. Only two of them – Devadiga and Fazel Atrachali — could help their sides to the next stage of the competition. And the two will face-off in the first eliminator match in Kochi on Sunday. The slate will be wiped clean as the tournament moves into the next phase. 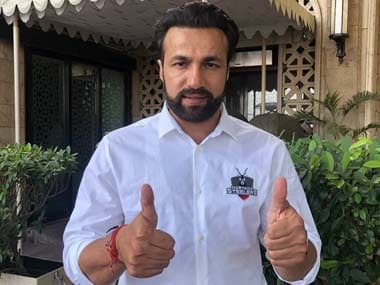 Dabang Delhi and Bengal Warriors will square off in the second eliminator while table toppers Gujarat Fortunegiants will take on Bengaluru Bulls in the qualifier.